Colleen Mauro founded Intuition: A Magazine for the Higher Potential of the Mind to introduce readers to the emerging field of intuition development. 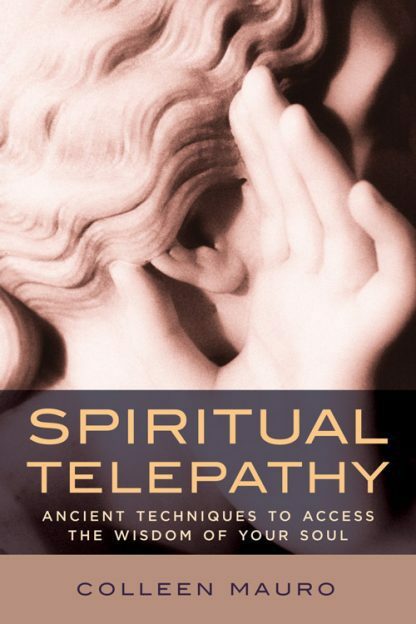 In her new book, she takes readers beyond the intuition basics and introduces them to the next step�a more advanced form of intuitive perception called spiritual telepathy. The Wisdom teachings tell us that the soul is our gateway to the higher worlds. Through the soul, we have access to the universal or divine mind where information on all subjects can be found. In the past, it's been only the "special" people�our saints, shamans and spiritual leaders�who have had access to the higher worlds. Colleen assures us that we can all gain access to that universal wellspring of inspiration and knowledge. Colleen Mauro has thirty years of experience in magazine publishing, including work as a publisher, editor, advertising director, and circulation and marketing consultant. A lifelong interest in the untapped powers of the mind led her to the launch of Intuition magazine in 1988. Intuition explored the higher potential of the mind and the many and varied ways of knowing � intuition, inspiration and telepathy � providing both research and how-to information in easy-to-read form for the general reader.